In order to uphold the standards you deserve, we go beyond a one-time installation appointment and continue to offer assistance through Carrier®’s Climate Shield Complete protection plans. Although no one likes to think about the possibility of something like an AC breaking down or needing parts replaced, it can happen. Not only will you continue to receive the best in HVAC customer service, but you’ll gain countless advantages to joining the Climate Shield Complete protection program. Best of all: they can be tailored to fit your needs and budget! If it happens to you, you could be left with hefty repair bills you can’t afford to pay, not to mention stress and frustration that tend to follow empty pockets. Your air conditioner is a major investment that should be covered by a high-quality protection plan. While the idea of paying for an extended warranty program in addition to what you have already spent on a new system may seem daunting, the advantages far outweigh the disadvantages. Palm Air ensures that you are always provided with the highest in quality service and top-of-the-line products. 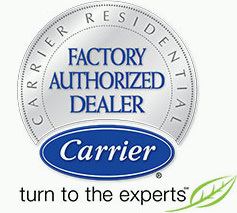 In order to uphold the standards you deserve, we go beyond a one-time installation appointment and continue to offer assistance through Carrier®’s Climate Shield Complete protection plans. Best of all: they can be tailored to fit your needs and budget! Why Should I Sign Up for an Extended Warranty? Although no one likes to think about the possibility of something like an AC breaking down or needing parts replaced, it can happen. If it happens to you, you could be left with hefty repair bills you can’t afford to pay, not to mention stress and frustration that tend to follow empty pockets. Some of the most common repairs, such as a motor replacement, can begin around $450. Other common issues like a compressor replacement can average around $1,500! Sign Up for an Extended Warranty Today! Never worry or stress about your new air conditioner leaving you with expensive problems down the road when you sign up for an affordable extended warranty through Palm Air. 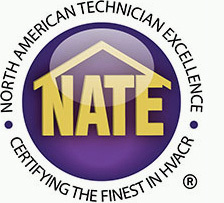 One service call away, we’ve got you covered when it comes to cleaner, colder, more comfortable air for years to come. For any questions or to get your protection plan today, call us at 561 922-3199 or contact us online below.